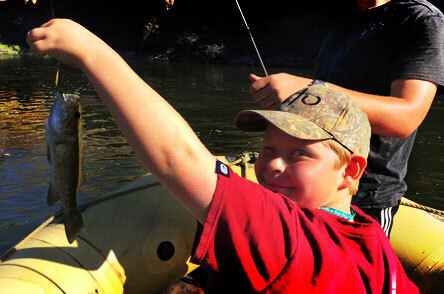 We continually offer hunting and fishing opportunities of all kinds, frequent skills training sessions and fun shoots, community service projects, the most awesome summer camps in the world, and a whole lot more. CTO is also a leadership development program, in which boys can grow in responsibility and respect. Most importantly, CTO is a Christ-centered group, so as you plug into the club, you also grow in maturity and faith. Find a club near you and contact the chapter director, guide or Outfitter. You can find their contact information in the "Find Your Club" in the menu above. Then attend an event to learn more information on how to get involved. During these time you will receive training, discipleship and mentorship. Once involved, you may want to step into a deeper program within CTO called Trail of the Guide. The Trail of the Guide is a program of Cross Trail Outfitters through which young men may earn leadership, responsibility and respect, while progressing toward a clear vision of Christian manhood. CTO is about Building Men, Preserving our Heritage, and Sharing our Faith — and the Trail of the Guide lies at the heart of this pursuit. On the Trail, under the guidance of the local Outfitter, the participants advance from Guide Candidate to Apprentice Guide. Along the way, they develop along three levels of growth: outdoors skills, leadership ability, and deeper relationship with God through Jesus Christ. Attaining the rank of Guide requires a serious commitment and is an achievement that will deliver benefits for a lifetime. And to enthusiastically share my outdoor heritage and Christian Faith with the people I meet.